Up to 1840, silver plated goods were made only by rolling and soldering thin sheets of silver on to copper, a process known as 'Sheffield Plate'. In 1840, John Wright, a Birmingham Surgeon, discovered what has since proved to be the best of all liquids for electro-plating. His friend George Richards Elkington and his cousin Henry Elkington took out patents in Britain and France embodying this process for which they paid John Wright a royalty. The factory was in Newhall Street, Birmingham and they had another premises in London. 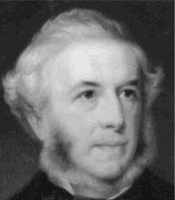 In 1842, Josiah Mason, became a partner in the firm and they became Messrs Elkington, Mason and Co. This process was soon accepted as the industry standard for electro-plating with the firm allowing a number of manufacturers to use their technique under licence. As the patent holders they also received royal endorsements and were granted Royal Warrants from several kings and queens of Europe. They became well known for their selection of quality hotel silverware that is durable and hardwaring and supplied the great railways companies, shipping lines and aristocracy. 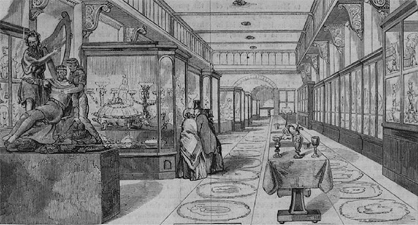 The Elkington showrooms in Birmingham c1880. Elkington made the bronze statues at Holborn Viaduct, London. Elkington is synonymous with Electro Plated Nickel silver (EPNS) and they also made exquisite sterling silver goods. They are now owned by the Sheffield firm British silverware Ltd.